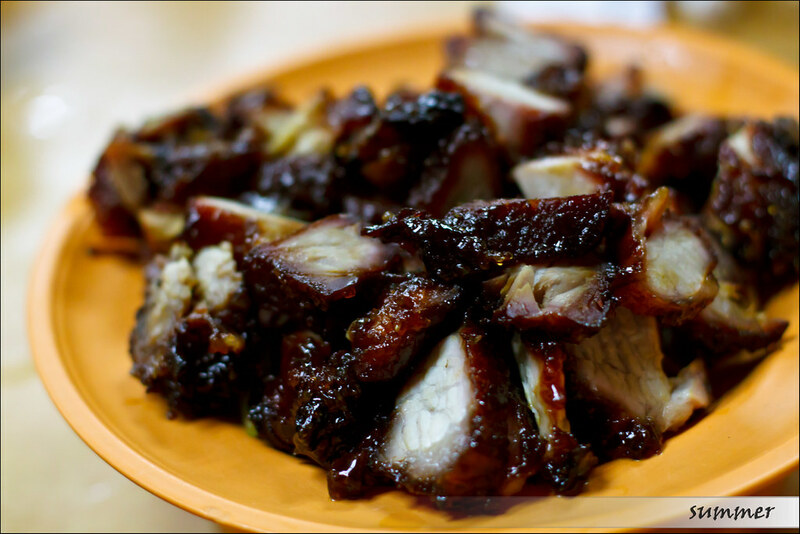 Have you ever tried the best char siew (aka BBQ Pork) in the town? Well, I would recommend you to Soo Kee Restaurant for their famous char siew. The restaurant is located in the row of old shops along Jalan Ampang and opposite to Flemingo hotel at the opposite site of the road. If you are unfamiliar with the place, you may find hard to reach for it as there is a flyover right in front of the shop. The restaurant is very near to my house but I never realise it until my uncle told me. From the appearance of the shop, I expect that I will be sweating while eating. But suprisingly, the place is air-conditioned and the “old days” interior is hardly found in KL town now. You will notice char siew, roasted chicken, roasted duck and steamed village chicken hanging on your left side after you opened the glass sliding door. 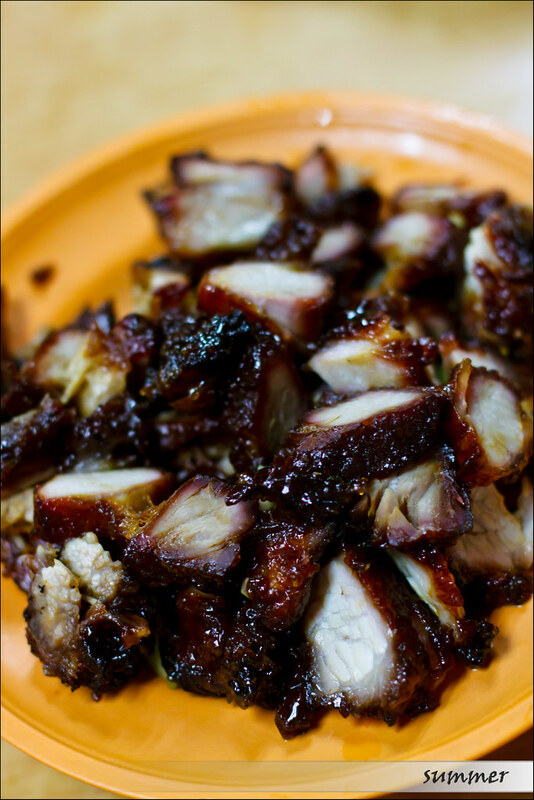 The char siew is definitely a must-order-dish when my family had our dinner here every weekend. The char siew is perfectly caramelised, unlike what I had eaten at other places. The outer layer may seems dark & sticky and different with the usual char siew that looks red outside. But my mom said the true char siew should be like this. Crispy from outside and tender for the meat make it a perfect match. For those of you who love the fatty parts, you can always request for it. But this time we purposely request for a less fatty part and still it is so delicious. One small plate of char siew as shown is not cheap though. It already cost us RM20 for that little portion. A little reminder for you, make sure you quickly order the char siew once you sit down for your dinner because it is selling pretty fast. Every table will probably order one plate of it. This shows that nice food doesn’t hinder people from the expensive price. haha.. me also like half lean half fat actually, but the fat a bit too over for me.=P see when ur moods come up, go hav a try on it. you wont regret..